Contex Aspheric (AS) lenses are the best most precise aspheric lens designs in the world. 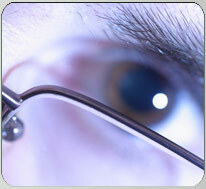 These lenses are a proven design that can not only improve your vision with lenses, but help to smooth your cornea out. If you currently wear aspheric GP lenses the Contex Aspheric lens will most likely improve your level of comfort and vision. How Do Contex Aspheric Lenses Work? The Contex Aspheric Lens uses a constantly changing curve within the viewing area of the lens to provide you with improved near vision. These lenses also feature excellent surface quality that gives you the highest quality optics available. They can also help reduce the amount of astigmatism through your lens resulting in crisp visual acuity letting you see clearly all day. The edges of every lens are machined to allow easy and exact duplication of your lenses. And, thanks to its “True” Aspheric peripheral design. Aspheric lenses may require a few office visits to be fitted as they must be custom ordered and fitted by your eye care specialist. Your personal motivation can greatly affect your success as there is a brief (1 day to 2 weeks) adaptation period in most cases. How Long Can the Lenses Be Worn? The lenses can be worn all waking hours. They are made from an advanced, Rigid, High Oxygen-Permeable material, which allows more oxygen to flow through the lens allowing your eyes to breathe freely. Available from your eye care specialist.